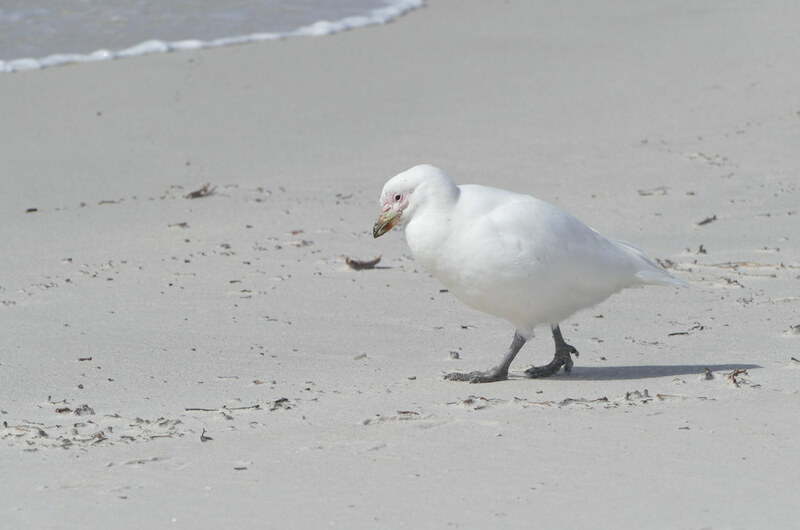 The snowy sheathbill , also known as the greater sheathbill, pale-faced sheathbill, and paddy, is one of two species of sheathbill. It is usually found on the ground. It is the only land bird native to Antarctica.